Here's an interview with Harold Ryan who is one of the Grizzily Ancients that lurk in the darkest corners of the Bungie office. 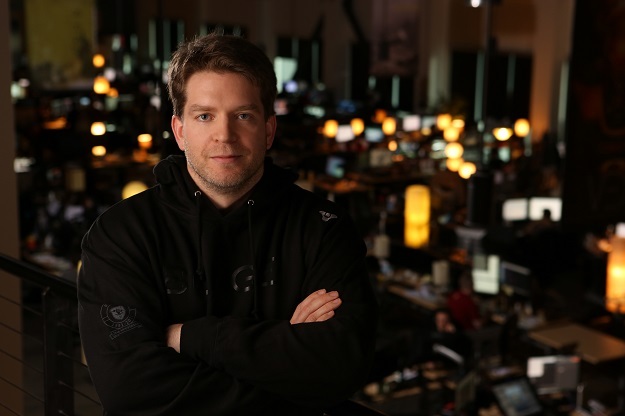 He chatted with Nowgamer about Destiny and revealed what he thought of Halo 4. In regards to the presentation, it must be really hard trying to translate something so big into such a small space of time so that people actually get it. Do you think that the world has understood just how massive it is? I don’t think so. There’s a lot to the game. Even with what we showed in the demo, we got to the end and we had seven people all playing in the same encounter. You’ve got player investment in there, you’ve got public matchmaking in there, co-operative gameplay events. What kind of story were those guys going on, what activities were they choosing as a team? That’s just one narrow slice of the experience. We showed a couple of the more combatant races in the montage at the end, and you can fight the race of The Fallen, the main enemy. To really get it, you need to play it. So lots of people have been ‘Okay, we’ll play!’ and we’ve had to say ‘Well, we’re still pre-alpha code.’ We did get seven players to work with the dedicated server onstage, which was unnerving. 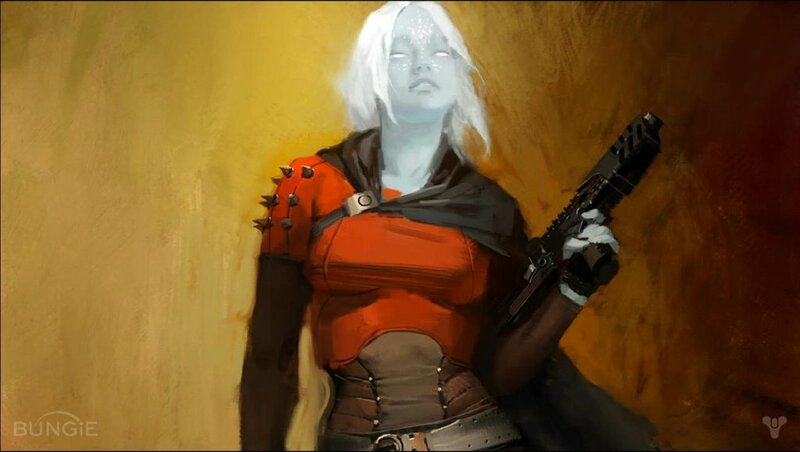 But there’s a lot to Destiny, I think it’s going to take a while for people to really understand the full scope of it. Do you think it’s going to be difficult for people who have played more console games to get used to this kind of MMO PC game style? We’re definitely very sensitive to the average, let’s call them, Halo player, COD player, even players of Oblivion and games like that. We know they’re not very patient and they want an action game, and the first thing Destiny is is an action game. And so everything on top of it is a rich and deep plus, but if you want a great action game experience, you can pick up Destiny and play through a great action game. You’re going to be presented with so many opportunities to progress your character, to care about how you look and how you customise yourself, and who you play with and how you play with them, but ultimately it’s a game we’re very focused on designing for people who just love to play the current generation of online shooters. Is this shared-world shooter experience something you think will be similar to an MMO, in the sense that people will be able to play it for years? We absolutely plan for Destiny to be a world that grows over time, that is a place you build your character in it, you meet friends in it, and it will continue to live and grow. Hopefully people will like it enough that we get the opportunity to help it keep growing over time. What do you think of all the fuss being made online about the issues surrounding DRM? Whether they DRM or not doesn't actually matter for us because we're taking a leap and saying in order to provide the experience we believe in you'll have to be a connected gamer. What the platform providers do with it at that point is up to them. It won't affect us. What kinds of advances have you been able to make with Destiny after deciding to release it on next-gen platforms as well as current-gen ones? It was about increasing the scope of technology, because all of a sudden it made more sense to put more into some fundamental things that would allow us to expand the amount of interactivity that the player has with the game. For the artists on the team being able to build and paint to the scale the next-gen consoles can display, they’re loving it. It turned out really well on the demo, I think, what has been nice and solid from a competitive point of view. What are your feelings on 343’s Halo 4? I think they did a good job with Halo 4. There’s nothing harder in the world than building a game, I think. It’s interactive and it’s about making something fun, and you can’t measure fun until you play it. When you try to hit eight or ten million people, it’s tough. I think they did a great job pulling together what they did. I played through all of Halo 4 in the first week it came out. I think it was a good game. With a new IP, the world is your oyster. You’ve got no restrictions, right? The opportunity that Destiny has presented us, we’ve been able to double down with the next generation of consoles coming out. We can really step back again, like we did with Halo 1, and say ‘What do we want? What’s the next game we want to play? How do we want to play it, how do we want to share it?’ You know, we worked a lot on socialising, with Halo 2 going on Xbox Live and launching BungieNet, and getting back to groups. There’s a lot to carry as you’re going from one game to the next. What futures do you keep, which ones do you add to? What do you change? In this case, we got to step back and look at the base line and build from the ground up the games we really want to play. Creating a new science fiction universe is a massively intricate thing. How are you guys layering up the history of this universe? When we started working on the Destiny universe, the first thing we did was to write a fictional background. You start off as you are now, a Guardian of The Tower, defending the wall that surrounds the last bastion of humanity, and the enemies are growing in strength. You start there and you start talking about how you ended up with that one last city, and what happened with peace. We spent years on it, with about eight or nine writers on the team, the editor for sci-fi from Tor is now our managing editor inside the studio, and Joe Staten who has been writing fiction for Bungie for fifteen years has been lead writer on it, and so we have a great team of guys that have just been writing and outlining and tweaking and tuning. We married the concept of the story and the fiction to visual concepts, and that's how we ended up with things looking the way they do. They’re breathtaking. Sometimes I take them home and hang them on my wall. We have them all over the studio, people have our art up as their desktop. It’s about finding that creative line and then we flash it out there, reams and reams of fiction for Destiny that back all aspects of it. The fun piece is when we plan the next story to tell and we go ‘Okay, so here we are, what’s the most exciting thing to pick?’ We pick the images we want, the activities we want, and then we think what stories relate to those and then pull it together.